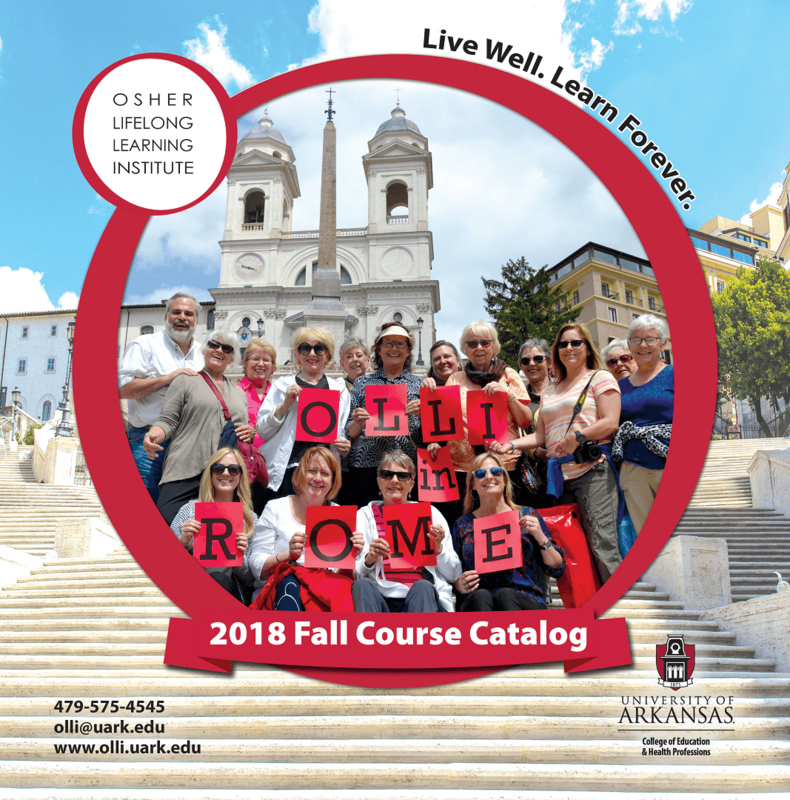 OLLI fall course catalog hits shelves across NWA! Welcome back! 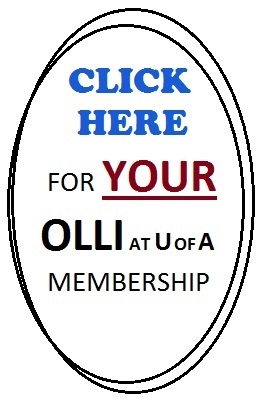 Or, if you are new to OLLI, welcome! This fall OLLI brings you a new course catalog full of many opportunities and subjects to explore. Take a look through it – there are nearly 100 courses offered.You will find lectures on the fall midterm elections, study groups on the history of WWI, hikes throughout the Natural State, a series of writing workshops and a variety of local and regional tours to museums, dining spots, technology centers and airports. Some tours spanning as far as Little Rock and Tulsa. The OLLI curriculum committee has worked very hard to recruit expert instructors and assemble a diverse list of offerings. There is certainly something for everyone of any interest. “OLLI is one of the most unique learning opportunities you will encounter, since the programs actually let you make one organization fit everyone”, say Ross Hooper, OLLI member and volunteer. “Each semester is a new OLLI event which I eagerly anticipate, looking forward to new opportunities and experiences”. Whether you love activity and hate sitting in lectures or if you prefer serious classroom subject matter, OLLI has it. Just dive into the OLLI OUTDOOR classes, covering everything from bike maintenance to guided waterfall tours. Is serious classroom subject matter your idea of a good time? OLLI teachers and facilitators range from college professors to enthusiastic amateurs, from “how to do it” help to introduction of totally new intellectual exploration. Printed copies of the fall publication are available here on the website or grab a copy at the OLLI office at 211 E. Dickson St. in Fayetteville. 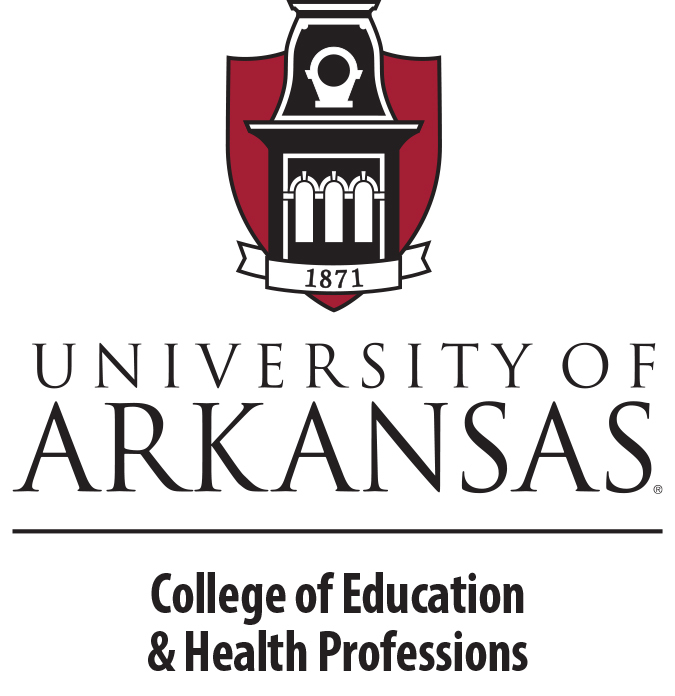 The catalog is also available at a several locations in NW Arkansas including Fayetteville Public Library, Butterfield Trail Village and the Senior Health Clinic at Washington Regional Medical Center. If you would like to go beyond the course offerings check out the monthly social activities and special interest groups. These activities range from happy hour gatherings at local restaurants to deep discussion on events currently happening in the World. These events are FREE but may require advance registration. Volunteering is another way to be involved with OLLI. Currently there are opportunities to serve as a committee team member or an ambassador at class. These are great ways to meet new friends and help shape the institute’s offerings. No matter what you choose, you will find OLLI to be engaging, informative and fun, providing a unique experience and an ideal learning environment. OLLI is an amazing community of lifelong learners, who are cohesive, smart, influential, active, informed and extremely fun. 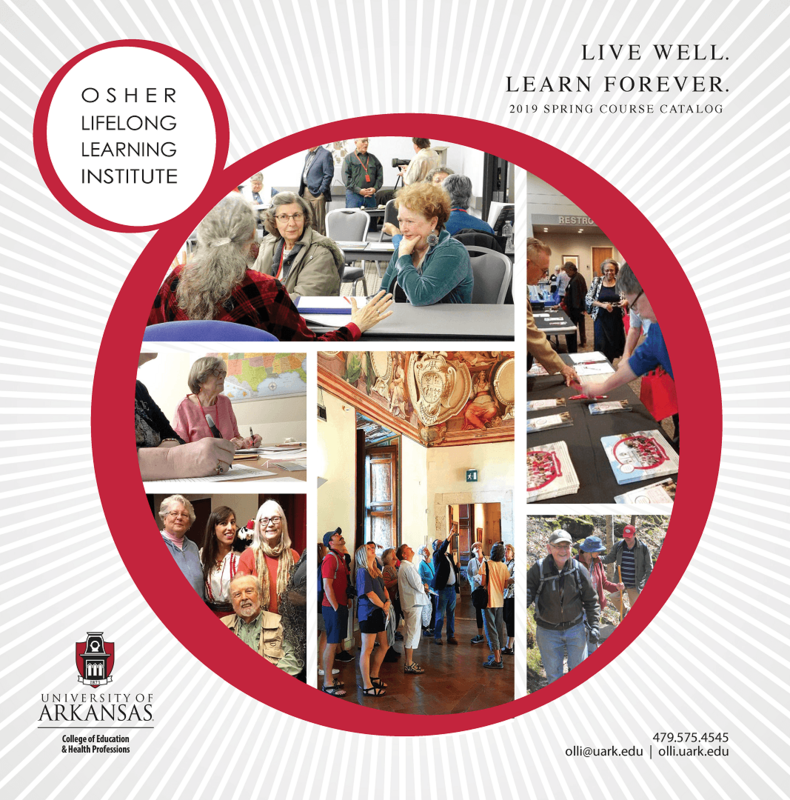 This past year, OLLI grew to over 600 members and this year the hope is to engage with even more seasoned adults in NW Arkansas. You can join as a member, unlocking a variety perks, access to special events and the opportunity to make new friends. Memberships are annual and run through June 30th of each year. Join early and take advantage of a full year’s worth of learning opportunities and fun.